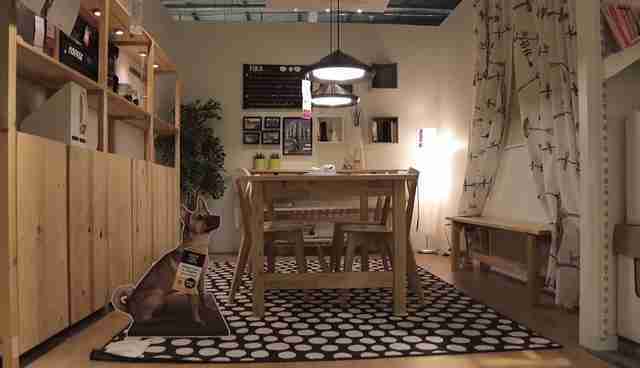 As part of a wonderfully clever campaign aimed at finding new homes for shelter animals, IKEA has devised a way to convince shoppers that welcoming a needy dog or cat into their lives just might be the best way to tie a room together. 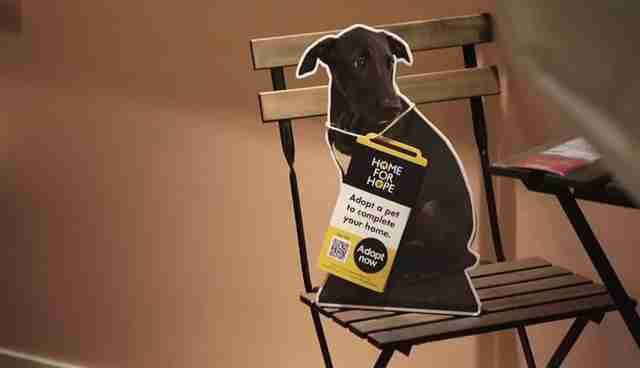 In partnership with pet rescue charity Home For Hope, the furniture retailer has begun placing life-sized cardboard cutouts of real dogs and cats that are available for adoption alongside their in-store displays. 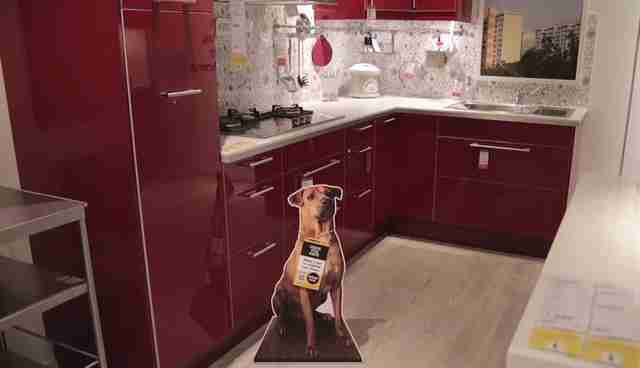 Each cutout features a barcode with which they can access information about how to make that specific animal their pet. Best of all, there's no assembly required. 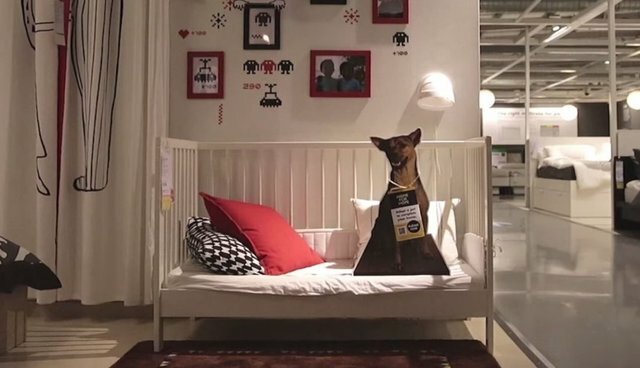 "We thought it was a perfect way to show people what their home would look like with a pet in it," IKEA marketing director Becky Blaine told Business Insider. So far, the campaign has only been tested out in two stores, one in Tempe, Arizona and another in Singapore, where the idea first originated as a way to alleviate the nation's overcrowded animal shelters. 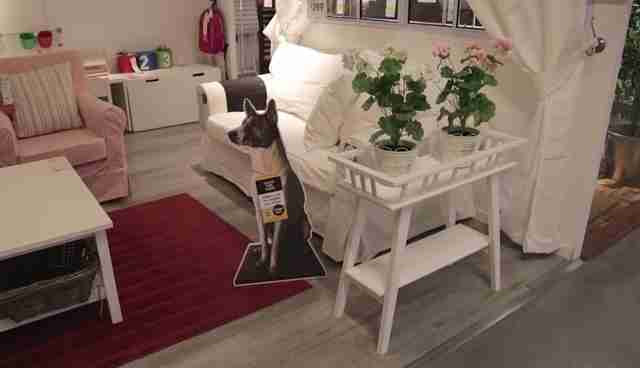 But with any luck, soon cardboard dogs and cats might be awaiting owners in other IKEA stores around the globe. All six animals on display in the Tempe store have been adopted into loving homes, and there are thousands of others who could benefit from this strategy to find theirs too. IKEA's partnership with Hope For Paws is a shining example of what good can come when businesses and pet charities work together to improve the lives of animals in need -- but there's an opportunity for so much more. Join the Dodo in urging IKEA to expand this concept to all their stores, and encouraging more companies to explore other ways to do the same.